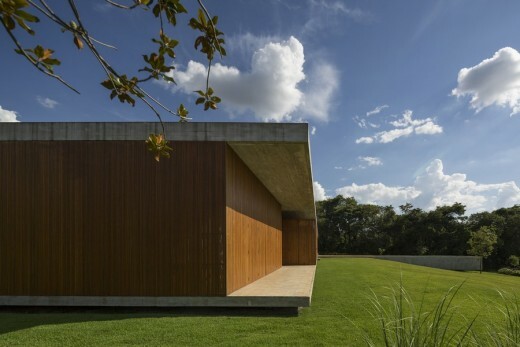 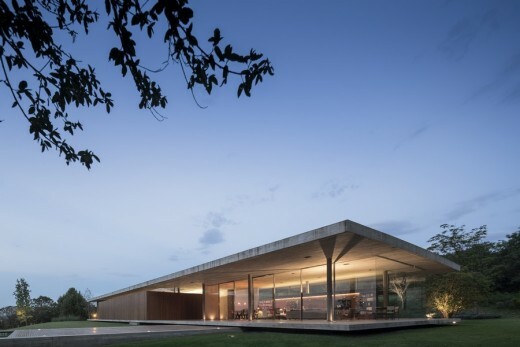 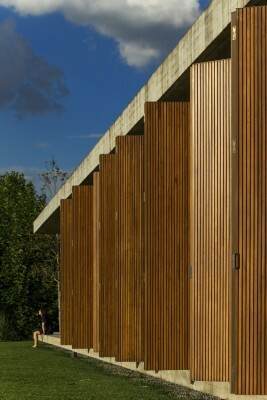 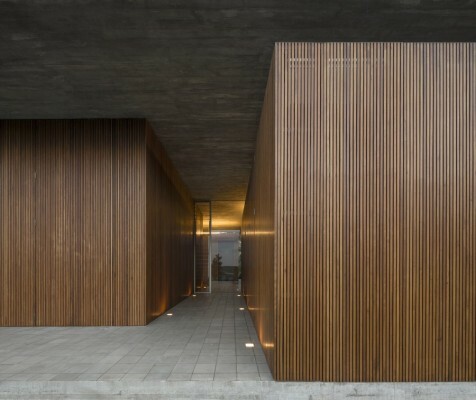 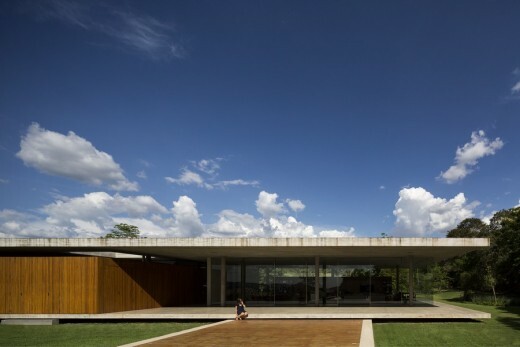 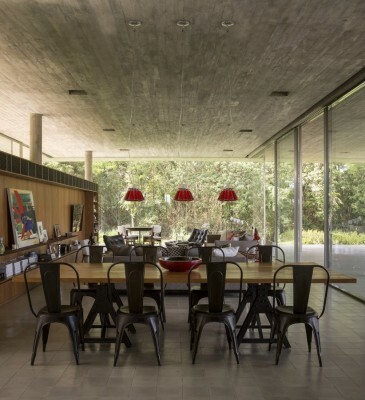 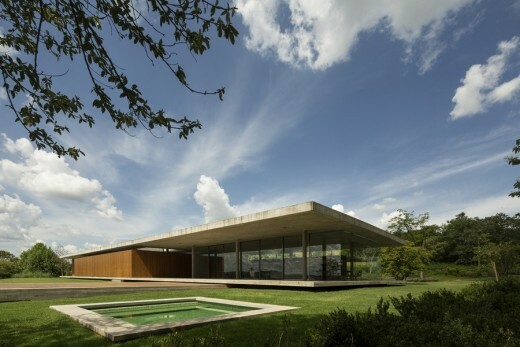 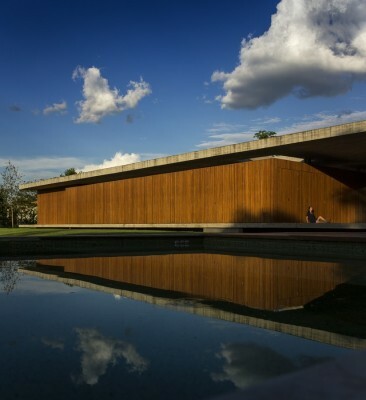 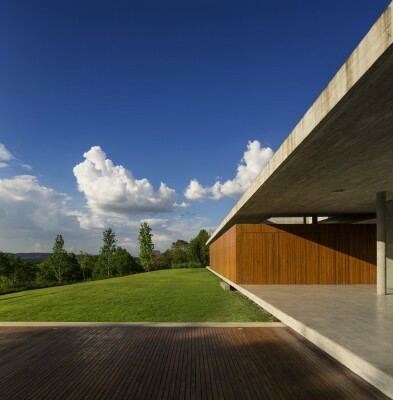 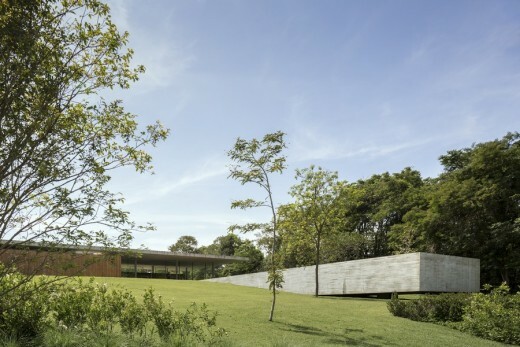 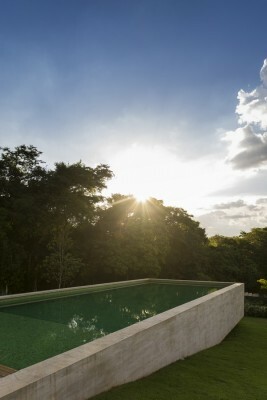 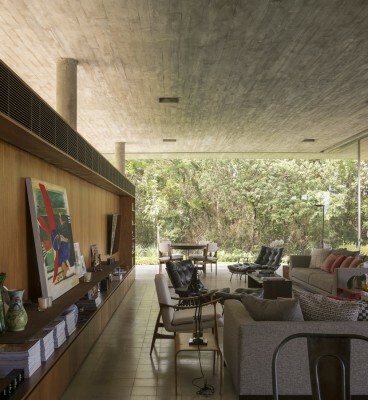 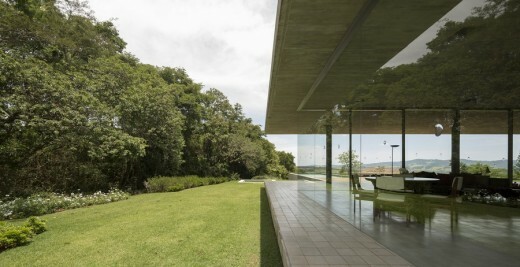 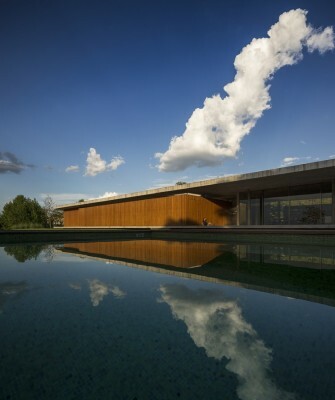 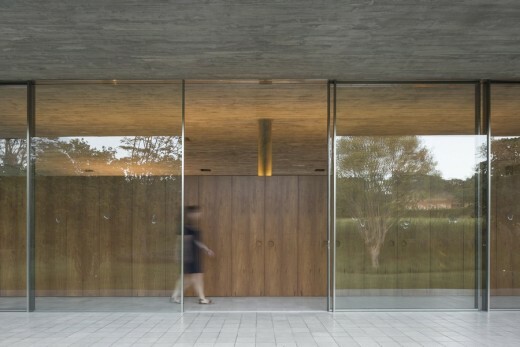 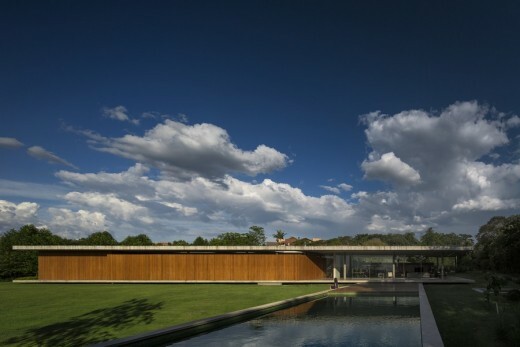 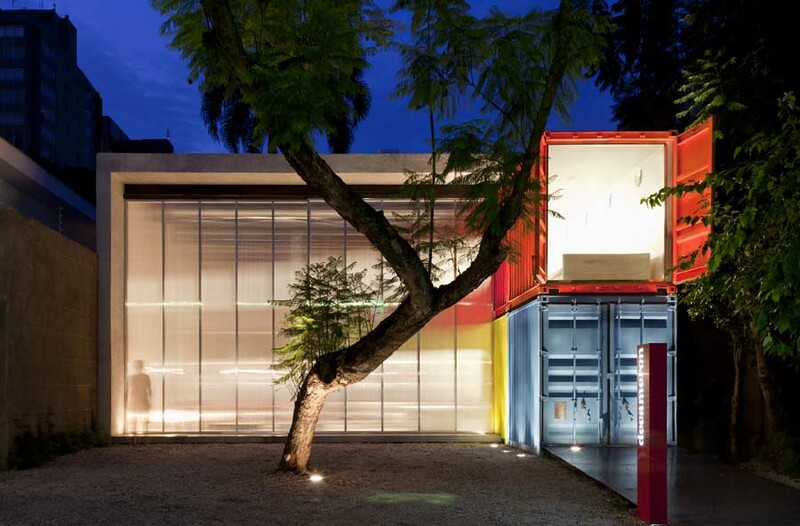 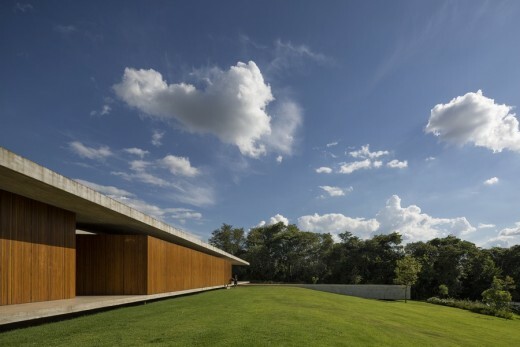 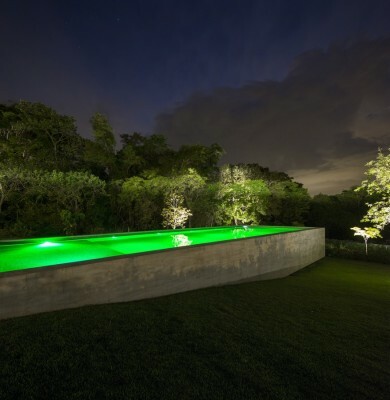 Redux House is located in the countryside of São Paulo, Itatiba, in a gated community called Quinta da Baroneza. 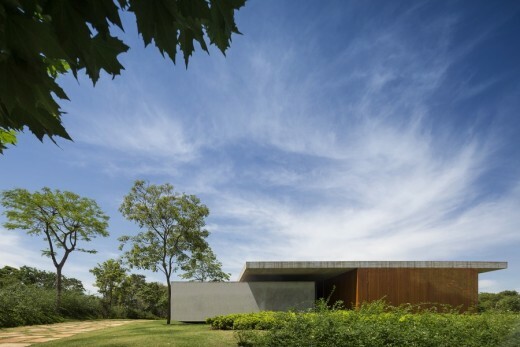 The open land, on a downwards slope terrain and with a west facing view, is on the edge of a large environmental preservation area of a native forest, aspects which determined the implantation as well as the residence’s architectural parti. 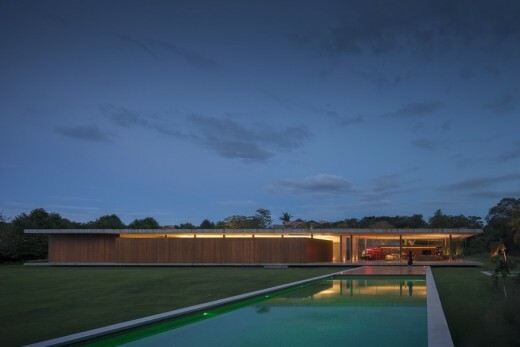 The house was built on the highest level possible, respecting the existing topography in order to could gain the view of the sunset and the vegetation with the least impact on the surroundings. 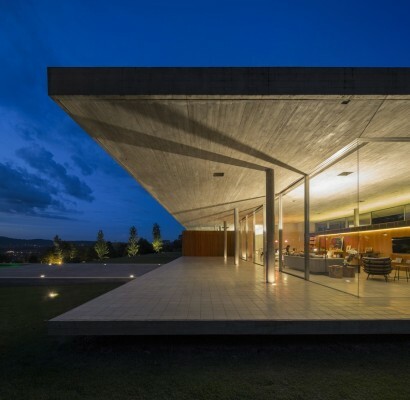 The project is composed of a slab floor, 4 programmatic boxes and a slab ceiling. 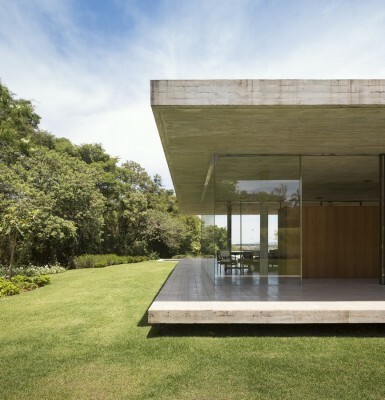 Externally to the slab of the floor there appears a great concrete volume, pool and deck, which is projected along the decline of the site and terminates floating through a small although striking span. 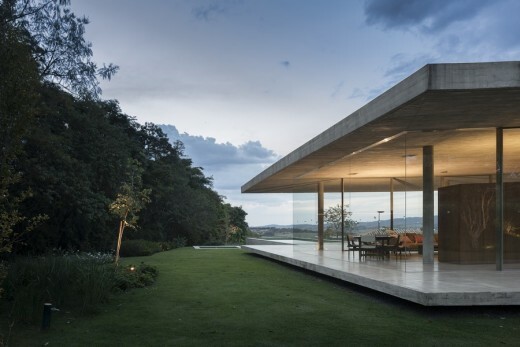 The slab of the floor, at 50cm above the ground is supported by beams set back, intensifying the delicate shape in which the projected was implanted onto the land. 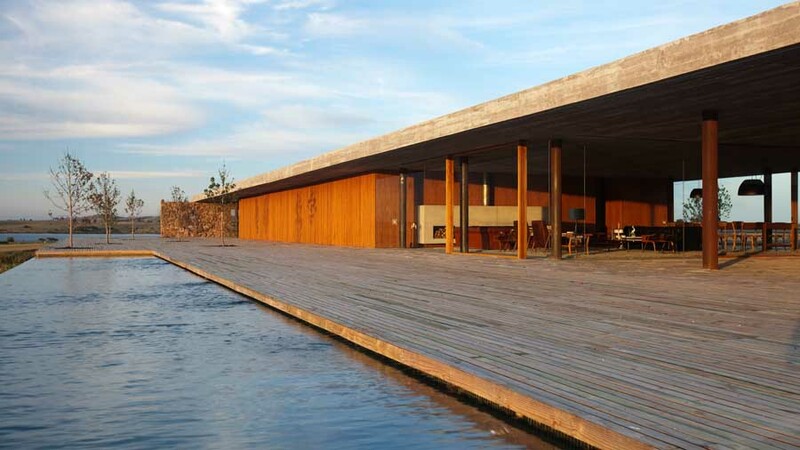 Visually, the house seems to float. 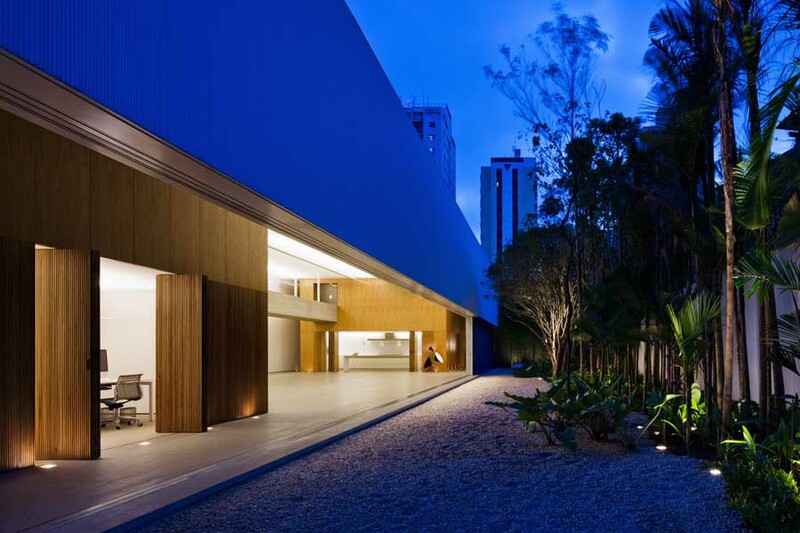 The program was divided into four programmatic blocks. 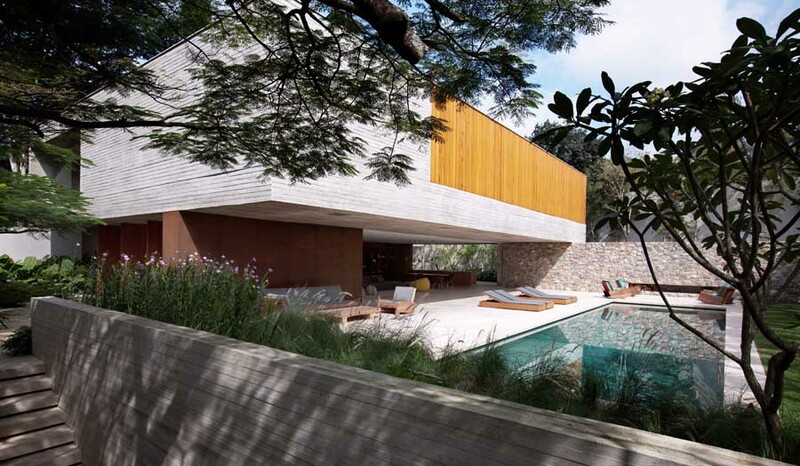 The first block contains the intimate area (4 bedrooms and sauna), the second only has the master suite. 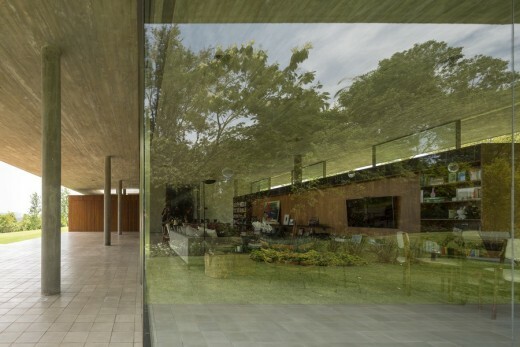 On the third we have the services area (kitchen, laundry room, sitting room, bathrooms and maids rooms). 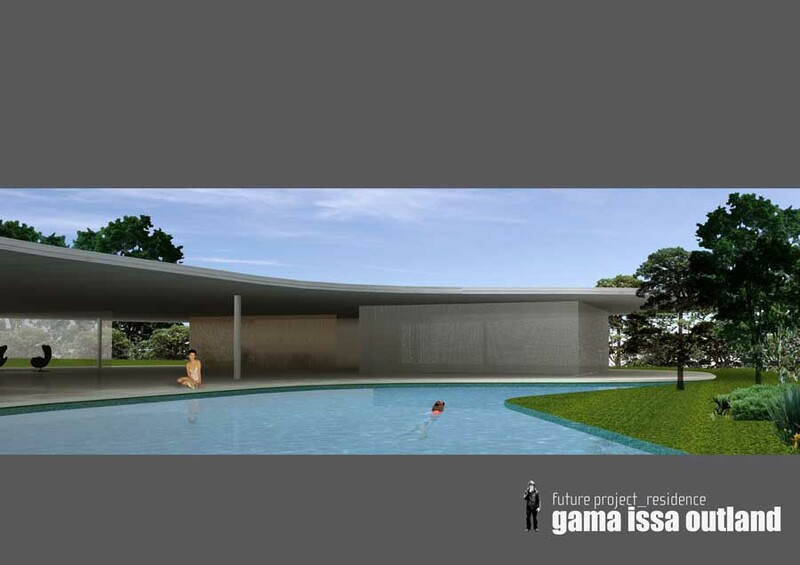 Finally, in the last block we have the garage and the technical area. 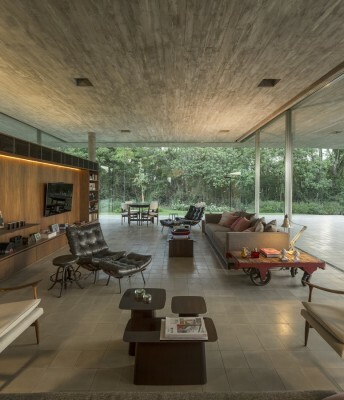 The distribution of the blocks in the slab floor created interstitial spaces, configuring circulation, terraces and the large space for the living room. 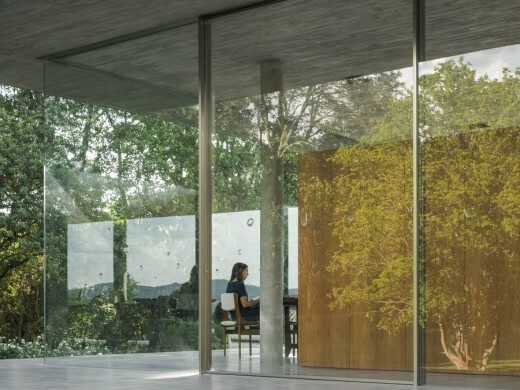 This latter, enveloped by a skin of glass with sliding panels open and create a dialogue between the internal and external (native forest and the west). 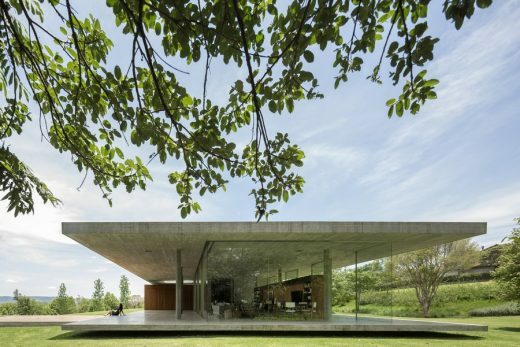 The slab of the roof, the same size as the slab on the floor, overlaps the programmatic volumes which, because of the different heights, here it leans on the roof there it has a reduced ceiling height. 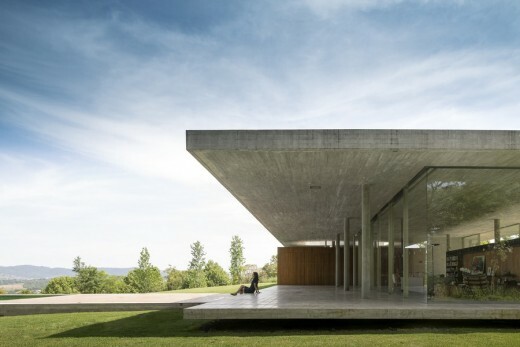 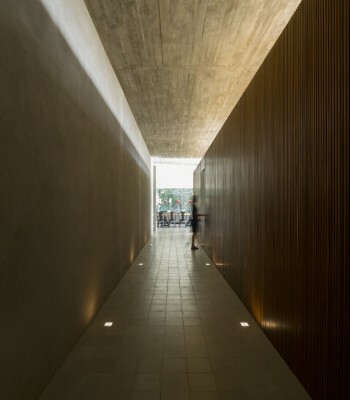 The emptiness between the volumes and the slab create an inner rhythm and, simultaneously, makes it possible to have improved natural lighting in the house. 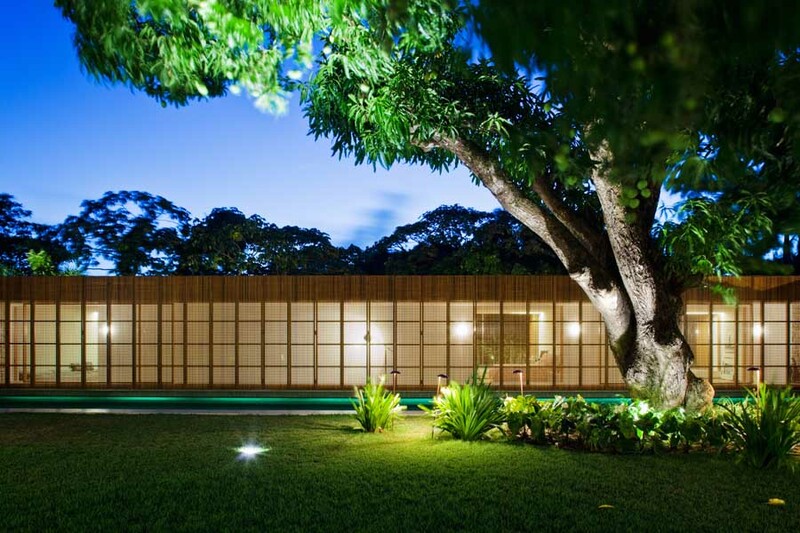 The two main volumes that include the bedrooms are completely clad in vertically slatted wooden panels which open almost entirely.